SALT LAKE CITY (AP) — Utah billionaire and philanthropist Jon Huntsman Sr., who overcame poverty to become one of the state’s most successful and powerful people, died Friday at age 80. Huntsman’s longtime assistant Pam Bailey said he died in Salt Lake City but she declined to name a cause of death. The Huntsman Corp., which he founded, said in a statement that Huntsman died at his home, surrounded by family. Huntsman was the founder and longtime executive chairman of the $11 billion company that refines raw materials that go into thousands of products. He was also the father of Jon Huntsman Jr., the U.S. ambassador to Russia and former Utah governor, presidential candidate and ambassador to China and Singapore. The elder Huntsman and his family have given away more than $1.4 billion, including donations to a Salt Lake City cancer institute that bears his name. In 1970, Huntsman founded the Huntsman Container Corp., which focused on food packaging and pioneered the clamshell container used for McDonald’s Corp.’s Big Mac hamburger. He formed Huntsman Chemical Corp. in 1982 and more than a decade later, consolidated his companies as Huntsman Corp., producing materials used in a wide range of products, from textiles and paints to plastics and aviation components. Huntsman stepped down from his role in December and his son Peter Huntsman took over as the company’s leader. His father continued to serve on the company’s board of director and was named chairman emeritus. 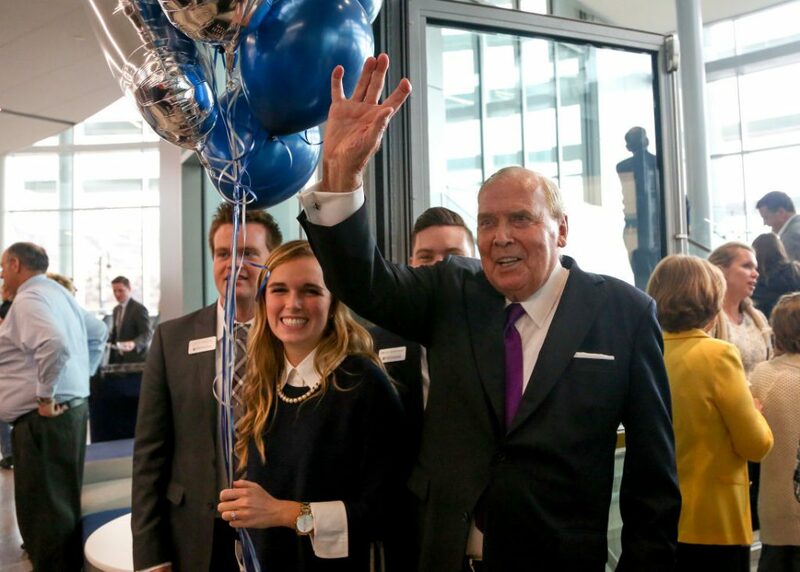 “He leaves behind a great company, but even more so, a legacy of optimism, ethical behavior and philanthropy that will serve as his greatest accomplishments,” Peter Huntsman said in a statement. After amassing his fortune, Jon Huntsman gave more than $100 million in the mid-1990s to establish a research center at the University of Utah dedicated to finding a cure for cancer through human genetics. Huntsman, who lost both his parents to cancer and fought his own battle with the disease, eventually gave more than $400 million to the Huntsman Cancer Institute and its foundation. He also wielded his power as a billionaire benefactor to the center. After the cancer institute’s director and CEO was fired in April 2017, Huntsman mounted a public campaign criticizing leaders of the university and took out full-age newspaper advertisements calling the officials “inept and uncaring.” The director and CEO was reinstated a week after her firing and the school’s health care leader and president stepped down. The billionaire and his family also gave generously to Utah’s homeless shelters as well as more than $50 million to the Armenian people after a 1988 earthquake in that country left thousands homeless. He also played key roles in state and national politics. Huntsman was a special assistant to President Richard Nixon and briefly ran his own 1988 campaign for Utah’s governor. Huntsman later served as a finance chairman for Mitt Romney’s 2008 presidential bid and in 2012, worked for his son’s presidential bid, giving more than $1.8 billion to a super PAC supporting the younger Huntsman. Following his son’s short-lived race for the Republican nomination, Huntsman kept a toehold in Utah current affairs, occasionally offering political commentary to Utah newspapers and even expressing an interest in purchasing The Salt Lake Tribune. His son Paul Huntsman purchased the newspaper in 2016 and named his father chairman emeritus. In the 1980s, Huntsman explored purchasing the Tribune’s competitor, the Mormon-church owned Deseret News. He met with high-level leaders with The Church of Jesus Christ of Latter-day Saints but faith leaders did not want to pursue the offer, Huntsman wrote in his autobiography. A committed member of the Mormon church, Huntsman served in several high-level leadership positions with the faith and had close friendships with the past five church presidents. The First Presidency of The Church of Jesus Christ of Latter-day Saints said in a statement that his “legacy of faithful leadership, generosity and goodness” would be a beacon for many around the world. Huntsman said the family was exposed to the dark side of wealth and fame in 1987, when his then-16-year-old son James Huntsman was kidnapped at knifepoint from his driveway. The teenager was forced to call his father to arrange payment of $1 million ransom. He was later rescued by FBI agents. Huntsman was born in 1937 in Blackfoot, Idaho and later moved to California, where he met his wife Karen while in junior high there. The couple later moved to Salt Lake City in the 1970s where they raised nine children, many of whom became involved in the family business. Huntsman is survived by his wife and eight children. One daughter, Kathleen Ann Huntsman, died in 2010 at age 44 after struggling for years with an eating disorder. Bailey had no immediate details on funeral plans Friday. 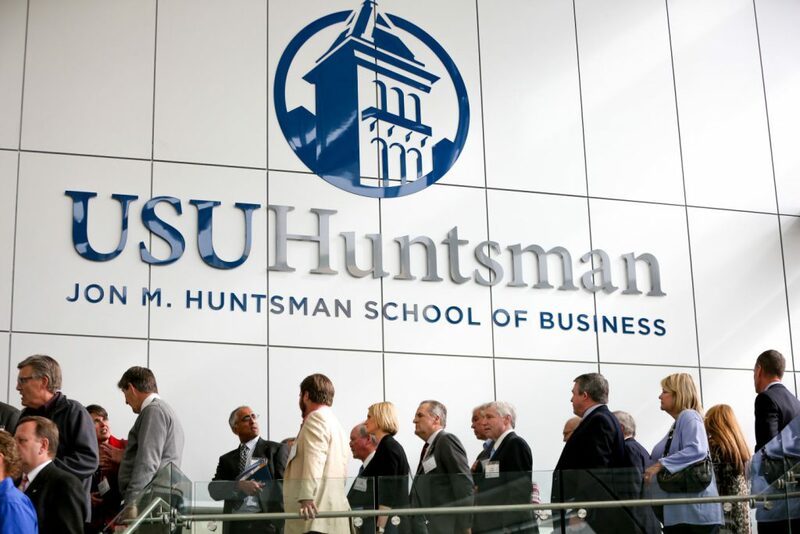 This story has been updated to correct the current value of the Huntsman Corp. It is $11 billion, not $13 billion.